Gutter cleaning in Ball Ground GA is one of the areas which is often overlooked by homeowners. Just like any other part of home, they need regular care. If you don’t pay attention to gutters and downspouts now, it can prove to be a costly mistake. Since it’s too easy to neglect it’s maintenance, the best option is to hire professional services of Foxland Cleaning for Gutter Cleaning in Ball Ground GA. Rather than dealing on your own, allow professionals to handle it in a better way. 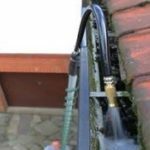 At Foxland cleaning, we use different methods to clean up the gutters. 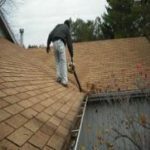 Mostly, we use leaf blower for gutter cleaning in Ball Ground GA. 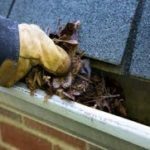 This cleaning technique usually takes less time for gutter cleaning. Also, cost is fairly minimal. We perform this method using Gutter spoon and pole. We collect all the debris and leaves that was causing the blockage and water damage to your roof. This technique is more appropriate when there is a mud like substance found in gutter. Our professionals clean the gutter screen and then flush out the gutters with a water hose. Don’t get yourself trapped in a horrible situation by neglecting cleaning of gutters. Gutters are not placed for decoration. Instead, they are very functional and are placed to divert water away from your premises during rainstorms. Gutters protect you, so make sure you consider schedule cleaning of gutters and downspouts. On top of that, the fact that you can get a free quote for gutter cleaning in Ball Ground GA will ensure cleaning of gutters and help you save more in the long run. Our most efficient service is blowing out the gutters. Being on the roof our men are able to swiftly do their work. For the safety of our workers we do not let them preform this work on most wood or metal roofs. In instance’s that the roof is not walk-able we clean the gutters by hand. Unfortunately, a lot of houses here are not suitable for the cleaning. Most homes are to tall for us to use this service. Some customers enjoy having their gutter troughs and downspouts flushed with water. This extra service guarantees a free-flowing system.